Moreas Piraeus, Patras, New York. 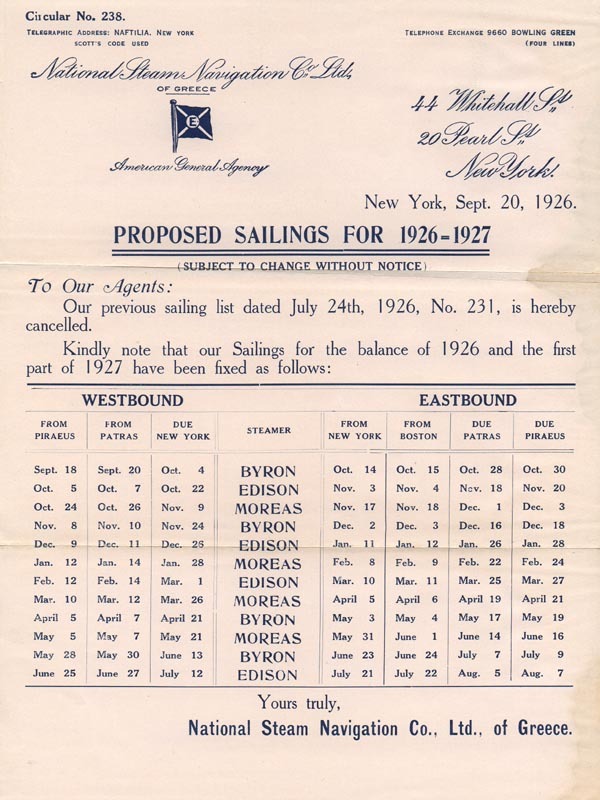 Return voyages: New York, Boston, Piraeus. 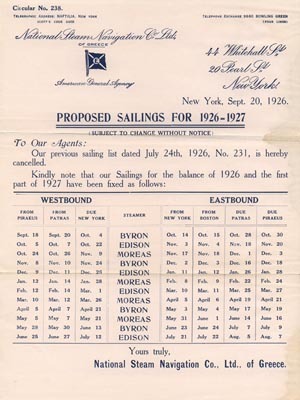 Byron Jaffa, Beirut, Piraeus, Patras (except March-June voyages), New York. 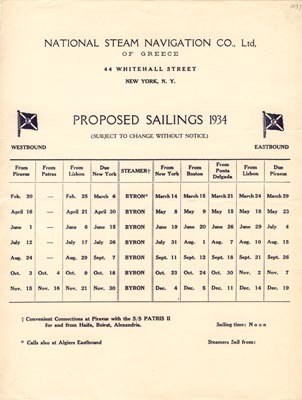 Patras omitted on return voyages. Edison Jaffa, Beirut, Piraeus, Patras, New York. Byron Piraeus, Patras (autumn only), Lisbon, New York. Return voyages: New York, Boston, Ponta Delgada, Lisbon, Piraeus. 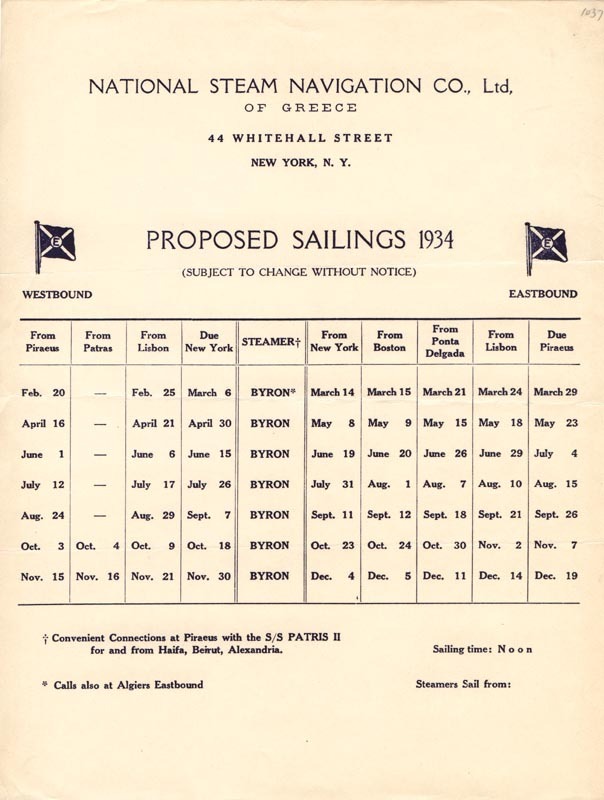 See the archives section for more brochures of National Steam Navigation Co. of Greece. This page last updated December 6, 2009.